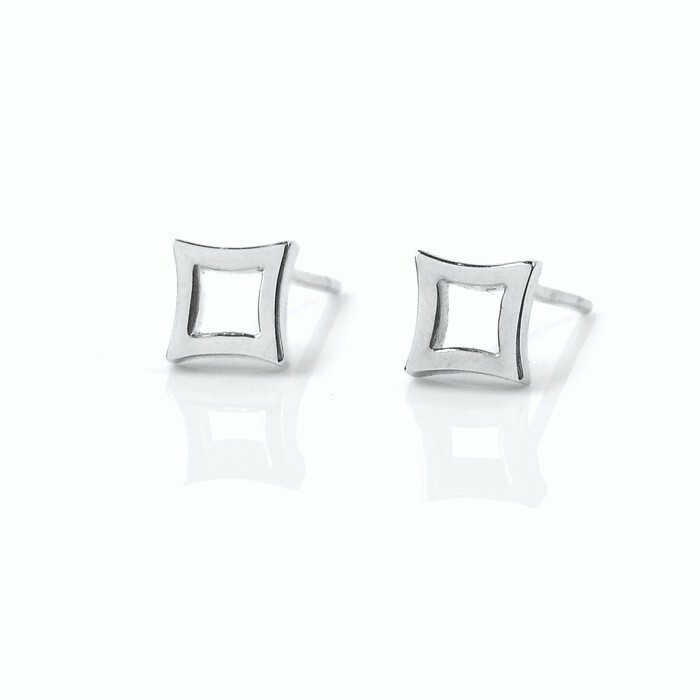 These petite diamond studs are perfect for little girls, or for people who want to wear small but elegant studs in their ears. Available in sterling silver, white gold, yellow gold and platinum, they are timeless and easy to wear. If you want to add a little sparkle to these earrings, consider adding diamonds with our diamond shaped diamond studs.